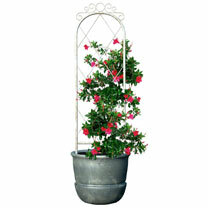 Turn your garden into a rural Provencal retreat using the Panacea French Country Scroll Trellis. The gentle arch and detailed scrolls at the top of this piece bring a delicate look to your backyard, while the distressed finish on the white body adds an antique effect. The two, 10" long legs insert into soil easily, helping you define the space in your garden, and the item's aged white finish contrasts foliage for a unique effect. 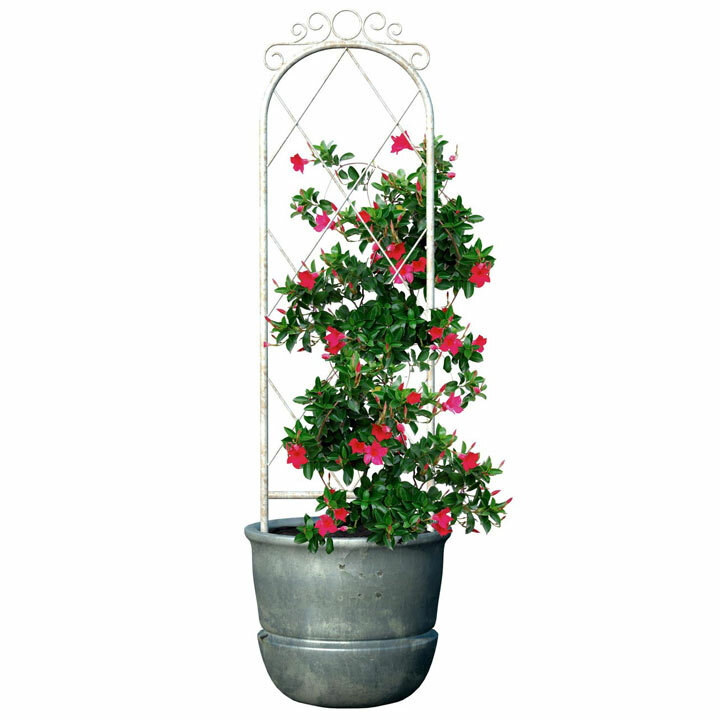 Made from durable, tubular metal, this piece will look great in your garden for many seasons. Dimensions: 92cm height; 22.5cm width.